The official production version of the Porsche 918 Spyder was shown at the 2013 Pebble Beach Concours d’Elegance. Are you ready to try this? Check out Jay Leno's test drive of this awesome vehicle. Sept. 5 and Oct. 5 - Board meeting. Sept. 21 - Coffee Travelers. People driving Porsches in pursuit of coffee and conversation will resume this month. Location to be announced shortly. Please check the region calendar for an update on where we will be. Sept. 27 - 29 - Badger Bimmers' OktoberFAST driving event at Road America. Details here. 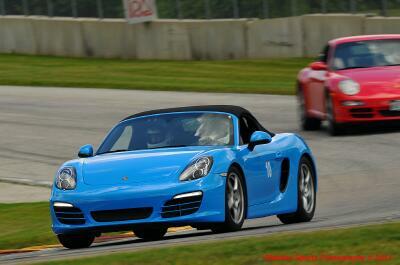 Oct. 5 - 6 - Driver education (DE) at Blackhawk, hosted by Chicago Region. Details here. Oct. 6 - Cars and Coffee -- Lake Mills. Last of the season. Hosted by 2 Shores International. 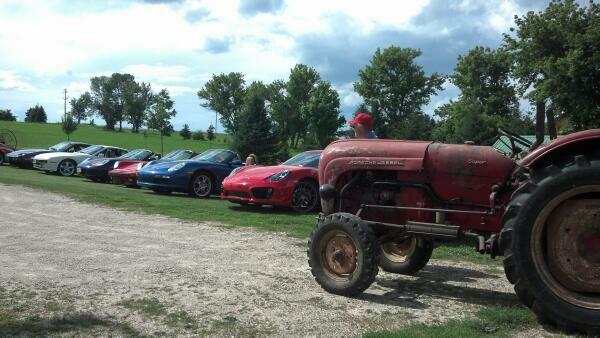 7 a.m. to 10 a.m.
Oct. 12 - Show your Porsche at Cedarburg's Octoberfest. Details here. Oct. 18 - Drive for Babies. Details here. Bryan works in business to business management, selling components to electronics manufacturers. He said he is “open to just about any events, but have gone to one autocross with PCA so far and looking forward to many more. 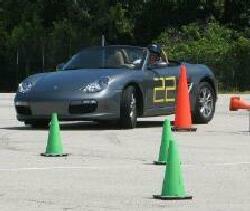 Currently campaigning the Boxster in SCCA and WAI autocross clubs. The desire for autocross and an occasional fair-weather drive were the motivating factors in picking up my first Porsche,” he said. Aaron Squires transferred to the Milwaukee Region and shortly thereafter sold his Boxster, and replaced it with a BMW 335xi. "The 1998 Boxster served me very well for almost 5 years. This was my first Porsche, and was a great car for a single guy to use as a daily driver. Since then I've gotten married, and determined that it was time to move on, as a more responsible car was in order," he said. "I miss my Porsche, and know I'll have one again in the future. I'm aspiring to purchase a Carrera 4 or a turbo in the future." 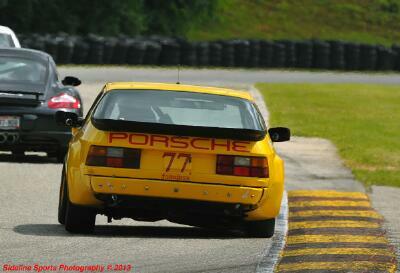 On August 8, I took time to enjoy the day at Road America. Because it was just a practice day for the ALMS event, the crowd was sparse and the circuit easy to navigate around. I had not been to Road America in a couple of years; consequently, the changes at the track surprised me. Most of all, I was pleased to see how well Porsche Park is maintained. No longer just a grassy field, it really is, well, a park. My congratulations to all of those responsible for maintaining and nurturing the area. It is obvious much hard work and regular attention has been invested in Porsche Park. Although one lonely Carrera was parked in there Thursday, I am sure that it was packed Saturday and Sunday. The region is fortunate to have such a historic racing venue like Road America so close to Milwaukee. To have designated parking within the complex is an honor. The members who tend Porsche Park are to be commended. Recent events....were you there? What did you miss? 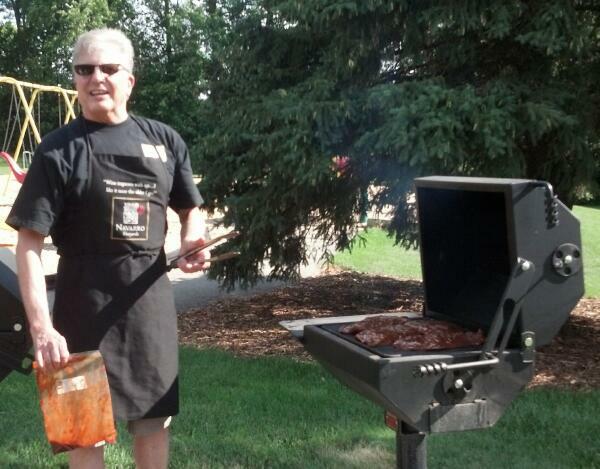 Two dozen Milwaukee Region members and guests enjoyed a picnic get together in early August. Chef Roberto (aka Bob Shellman) dazzled the attendees with a menu of pulled pork, grilled chicken and marinated, grilled flank steak. An impromptu art show was held as member Karl Schulz and Donna Daufenbach showed their artwork that was entered in the PCA Parade's annual art competition. A few attendees tried their hand at bocce ball but for the most part, visiting and talking cars was the primary activity of interest as members relaxed in the comfortable setting of Town Hall Park in the Town of Lisbon. In addition to his remarkable cooking, Bob also provided a 25-mile driving tour of the area for members to take on their own. The Milwaukee Region’s driver education (DE) event Aug. 16 is in the history books as a big success, thanks to the months of planning by the three DE co-chairs – Terry Royals, Al Wagner and Bill Wright. Mother Nature cooperated with great summer weather for the full day of track time for participants. "The Committee extends a big thank you to all participants in our event at Road America,” said Wagner. “We have said many times, and it could not be more true, that our event would not be possible without your participation. You literally make our event happen! “We also extend a big thank you to our volunteer helpers who contributed to make our event a success. First and foremost, we thank Larry Boyer, chief instructor for the Audi Club, for leading our classroom sessions for Group 1 drivers. We heard many favorable comments about the classroom sessions,” Wagner said. He also thanked the Tech Inspection crew “who accomplished so much, in so little time, and got us all through the morning rush that inevitably occurs just prior to the drivers meeting.” That crew included Chris Schuh (and his staff from CS Motorsports), Fred Schwierske and Dean Fabritz from Fabson AG. Grid management services were provided by region members Jeff Cowie and Greg Kizevic. Jeff and Greg made sure that all drivers were queued up for the correct run group, had the proper attire, provided "black-flag counseling services,” and more. Jeff Cowie, Gregg Eisenhardt and Michael Elliott helped with check-in. John Orth organized the Veteran's Track Tour during the event’s lunch break. John received a thank you note from the VA staff saying how much the vets enjoyed the experience. This thank you extends to all who gave a vet a ride around the track, Wagner noted. “We appreciate the contribution of our PCA-Milwaukee Chief Driving Instructor Ron Pace. Ron, thank you for all you did, for leading the drivers’ meeting, for providing check rides for certain drivers, for filling in as an instructor for some students during their time of need. Also thank you for your contribution of tickets to both the Road America Fall Vintage Festival, and to the Milwaukee Masterpiece car show,” Wagner said. Ron's tickets, presented to instructors whose names were drawn during the instructors’ meeting, enabled the committee to offer a small token of appreciation to instructors for their contribution to the event. August Cars and Coffee - Check out the photos that Donna Daufenbach took to capture a flavor of the event. August Masterpiece - check out the photos that Max Moser and Donna Daufenbach took and Ron Pace's report about this event. Several other region members played a big role in making Club Day a big success. 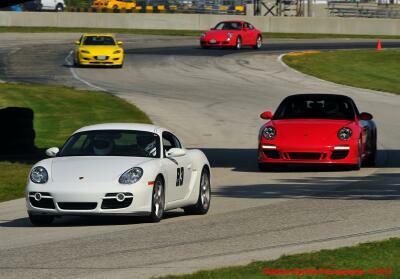 Porscheplatz, ALMS and Grand AM....This was a superb event at Road America and our own Porsche Park shines. Read the story and check out some photos here. New posts in our online classifieds include winter storage rental and a 1965 356 SC that has been in the Milwaukee Region for its entire life. There's also a Beck Speedster in the listing. Check out classifieds here. Porsche racing history....the 917. Read it here. GT3 review....check out the video here. 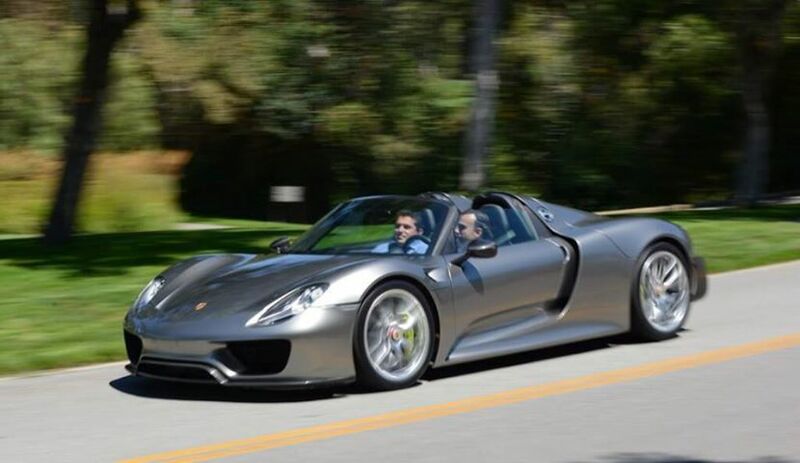 Jay Leno's Garage...more details on his test drive of the 918. 2014 Cayman test drive...check out the story here. 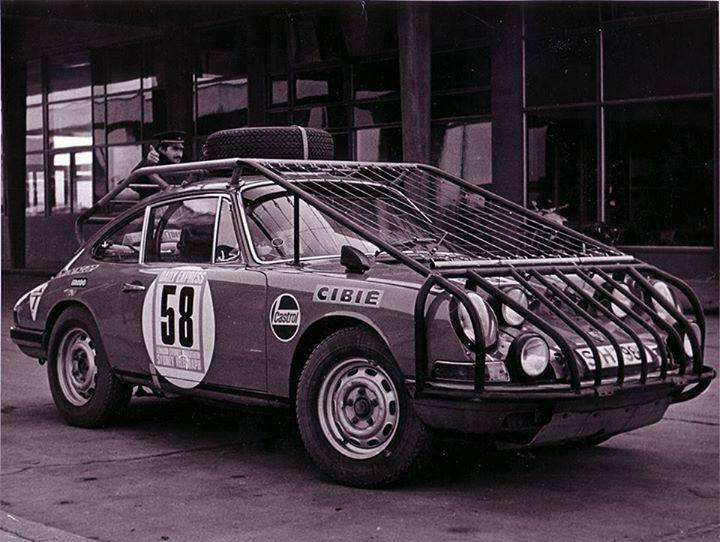 Prepared for anything....The 1968 Porsche....outfitted with armor to compete in the London to Sydney marathon. 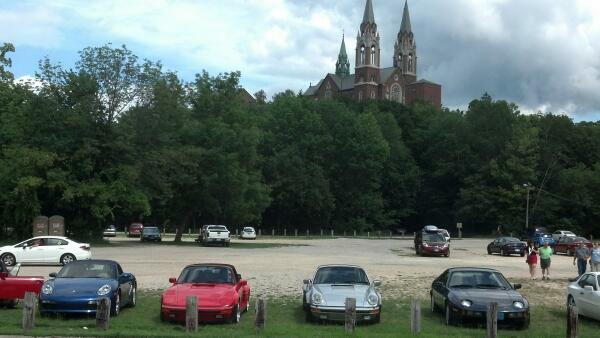 The Fox Valley Region hosted a visit to Holy Hill in August, followed by a short driving tour of the great roads in the area. The day was capped with a dinner at Fox and Hounds. Eighteen people enjoyed the day. Fox Region member Bob Geiser owns this 1962 Porsche diesel tractor. The driving tour of the Holy Hill area included a stop at the farm to check out this gem. Safety equipment? What safety equipment? Region member Mike Wiviott found this video that features vintage racing crashes. The drivers and cars endured some incredible trauma in the days before safety harnesses, safety equipment and modern engineering. If you're going to steal a Porsche, you better know how to drive stick...This is an older story but still funny. Read it here. If you or a loved one needs to be transported to hospital, what's better than getting there in a Porsche Cayenne ambulance?